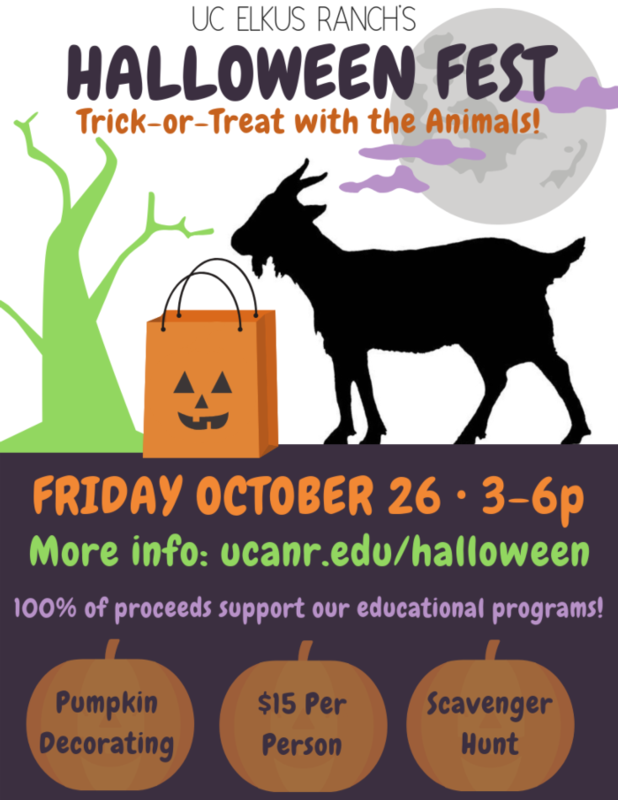 Come feed treats* to the farm animals in a reverse trick-or-treat! Dress in costumes, complete a spooky scavenger hunt, decorate pumpkins, explore the gardens, and more! Space is limited, sign up today! Please note that we are only accepting credit card payment in advance at this time. 100% of ticket proceeds benefit our educational programs. Thank you for supporting Elkus Ranch!